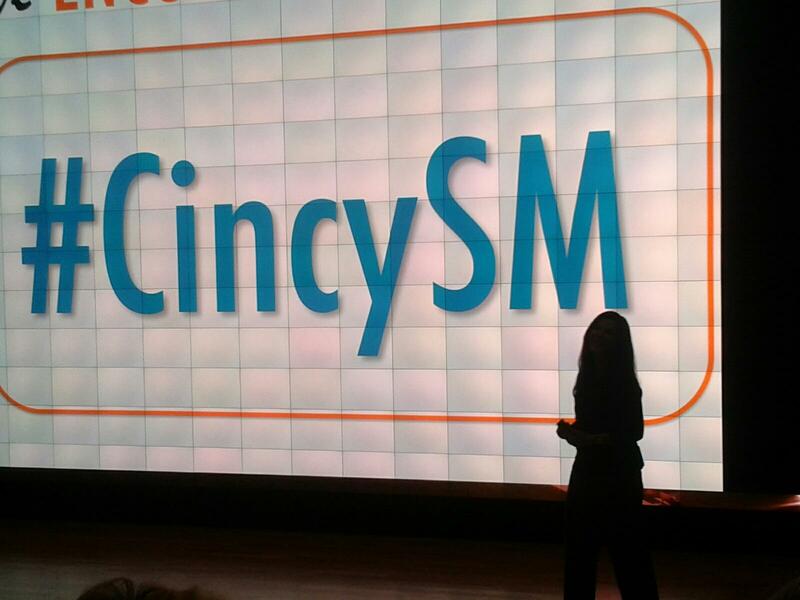 This week, Cincinnati Social Media heard from preeminent LinkedIn expert Jennifer McClure of Unbridled Talent. Jennifer gave an appreciative mix of professionals and students at Northern Kentucky University an extremely informative update about the social network and a refresher about some of its basics. * Your LinkedIn profile is your professional online home base. Strive for 100 percent completeness. Be sure to tweak. Freshness matters. Make at least 50 connections. Your profile picture must represent you as a professional. * Your headline, summary and photo draw the most attention, according to “heat maps.” Be sure that your headline and summary are keyword rich — very important for search engine optimization, and because recruiters and HR folks search for particular words. * Put five or more skills on your profile. (You can find the Skills section under More on the top right.) This allows recruiters to find your skills and talents. * LinkedIn members who grow their networks are 30 percent more likely to find jobs. So actively seek connections. Have a connection strategy, such as accepting all or certain invitations to connect. * Use applications such as the Amazon reading list, Slideshare presentation sharing, blog plug-in under More on the top right. Helps connections and recruiters learn a lot more about you than what’s in your basic profile info. * Be sure to join and participate in relevant LinkedIn Groups. You may view the group’s demographics before deciding if you want to join. Once you join a group, share helpful content. Be helpful. This builds awareness about your personal brand. * Don’t overlook the possibility of using paid LinkedIn ads. There are a number of options, and you can super-target. Jennifer also shared some insightful info about LinkedIn Companies pages. She told us about neat places such as http://developer.linkedin.com, http://engineering.linkedin.com and http://linkedinlabs.com to find cool, free options. You may find out what companies are trending on LinkedIn Search here: http://swarm.linkedinlabs.com. If you get a chance to attend one of her presentations, don’t miss it. As I said, these are just a few quick notes. She covered a lot more! Clear back in November 2011 — just over three months ago, seems like eons in this era of rapid adoption of new technologies — I read an article in Bloomberg BusinessWeek about this hot new social network called Pinterest. So I did a status update on Facebook asking for an invitation. Early adopter Jackie Danicki promptly e-mailed one. “There might be some possibilities for use in the health care world,” I thought, especially as I read about this network’s overwhelming popularity with women and its power of driving traffic to websites. Then, I heard about Dayton Children’s Medical Center’s Pinterest page. It was super interesting to hear how Dayton Children’s was using Pinterest to connect with parents and patients by offering content they value. Soon, Joanne Maly and Jodie Heflin shared at New Media Cincinnati in February about tapping the power of Pinterest to advance goals of non-profits and connect with patents of children with diabetes. “Enough, already,” I thought. Time to set up this page for Catholic Health Partners, my employer. It looked like a good network to integrate into CHP’s social media strategy, especially to reach employees (82 percent women) and potential new hires as well as billing coders, also mostly female. We could capture the attention of med students to support physician recruitment. We could repurpose videos we’d put on our YouTube channels and get more value for the production costs. We could share information that helps further our mission — improving the health of our communities, with an emphasis on the poor and under-served. We could build awareness about CHP among important audiences that may not have heard about us. Within two weeks, I found myself on a lunch and learn panel at Boot Camp Digital, thanks to an invitation by CEO Krista Neher. Krista gave a comprehensive overview about Pinterest to the sold-out session (all women, except one). Then, Debba Haupert offered a super interesting presentation and Q/A about how she uses Pinterest to support Girlfriendology. I explained CHP’s strategy and, thanks to Krista’s questions, how I’m able to fit Pinterest into my daily social media duties. Social media, after all, is just part of my job. * Keep your target audiences and business goals in mind when developing a Pinterest page for your organization. Do you want to drive traffic to your website or other social media platforms — with an ultimate goal of attracting job applicants, selling a product or service, or getting donations? Just what do you want to accomplish? * Think visual! Debba shared how she has been creating files for pinning that contain an inspirational quote, the Girlfriendology logo and its URL. She’s repurposing the text that she had been just using for status updates on Facebook. If you share a photo, Photoshop a watermark on it with your organization’s name and URL. * Take advantage of as many of the features of Pinterest as possible. For example, fill out the descriptions in your boards. Use keywords that search engines like. Put in links to your website and/or other social media platforms. * See who is following the people/organizations who are following you — and find people/organizations to follow there. Also, use the search box to find people/organizations to follow. Note: You don’t have to follow all of their boards, either. Possibly follow the one or two most relevant to your goals. The content they are sharing gives you great resources for repinning on your boards. There was more, it’s time to go do some pinning. Hope you found this valuable. Feel free to share more in the comments. Here is a list of reasons for opening social media access to all employees from sources such as the Social Media Health Network and Shel Holtz. Please feel free to add any more, as well as possible risks for doing so. (1) Giving a double message — If you tell employees to Like our Facebook page or Twitter account and then block them off. (2) Confusion/uneven blocking — It’s a big headache to decide who gets access and who doesn’t. (3) Missing a great opportunity for employees to serve as brand ambassadors. Passionate, caring workers are your greatest advertisements. (4) Contributes to a culture of mistrust. Blocking gives a message that you don’t trust people to get their work done, that you fear they will put social networking ahead of their work. (5) Studies show that workers with open access are actually more productive. There are a lot of benefits to being able to connect with your networks to talk about business-related matters. (6) This is how people communicate now. What’s wrong with doing a quick check of your Facebook or Twitter during a break? (8) Most organizations monitor social media for mentions of their brand names, so they can tell if any problems exist. Also, they have crisis communication plans in place to handle any issues that may arise.